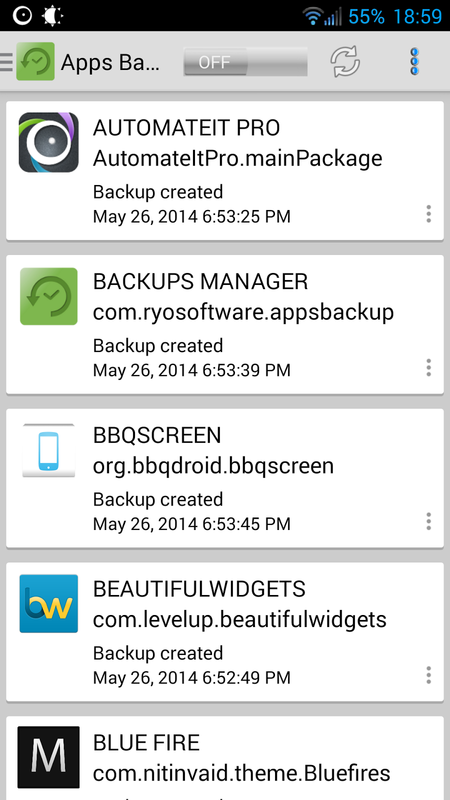 During our weekly #ACSAH 80 I featured an app that is able to backup your applications, settings and configuration. What should you know about the app? The first thing you need to take into account is that you will require ROOT much like Titanium Backup and Helium. The design and the layout is what sets it apart from others. It's really simply there to do a backup and a restore. There's no extensive list of options. You can backup all of your stuff in one sweep and even to a restore in one sweep. The developer does permit you to backup system app but I see little use for that as most of the applications you will have installed are user apps. Backups Manager comes with a 7day trial to see if you'll like the application, after which you'll need to purchase a license. Since this is our weekly #AppColiseum battle I highly encourage you to +1 if you like the app and at the same time see what +Cass Morrison & +Ryan Moore have for you!